It’s time for another installment of DVDTalk.com’s Anime Talk column! We have compiled an excellent group of reviews to share with our readers this month. We compiled more reviews in an effort to bring you a sampling of the best new anime releases around. As reviewers, we often find ourselves watching loads of anime to find the special series worth remembering. We watch both awful and awesome anime series to find you the series that are actually worth our readership’s time, investment, and hard earned moolah. In other words, remember to look to our column as an indication of the best titles available on the anime marketplace. You can find information here about the best titles newly released in home incarnations on DVD and Blu-ray. The DVDTalk.com Anime Talk column is a bi-monthly offering with information on some of the latest anime releases. This means that a brand new column release can now be expected to fall every two months. Not twice a month. Clarification seemed necessary because it could be interpreted either way, but we decided to go forward using the two month format. There have been a number of notable new releases over the past two months. Please check reviews in the section indicated below to find a sampling of the best discs arriving in our reviewing quarters (not that we actually all sit together in the same office, divided into a fraction). Have fun, readers! Anime collectors: time to open up your wallets! Aniplex of America has prepped two Blu-ray collections this fall. It includes Durarara!! (with a collectible lunchbox) and Bakemonogatari. 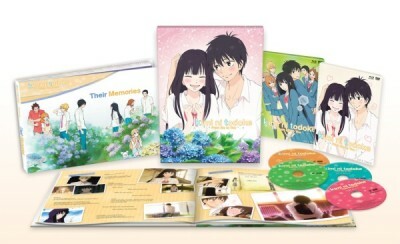 Both collections are currently available for pre-order at RightStuf.com at $149.98 each. Bandai Entertainment announced on August 31st that they will be discontinuing all titles available through home video publishing and distribution effective March 1, 2013. It's a wake up call to purchase any remaining anime catalog titles that you still want from them. Select releases could go out of print at any time. There is no 100% certainty of which series will be license rescued. 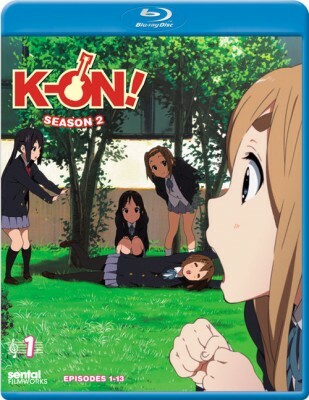 Continuing where the summer left off, FUNimation Entertainment has even more former Geneon Entertainment US series coming back in-print and already scheduled for the rest of this year. It includes series like Haibane Renmei, Fafner TV, Tenchi Universe, Hellsing Ultimate (OVA 1 - 4), Black Lagoon Seasons 1 & 2, Hellsing TV, Serial Experiments Lain, Tenchi in Tokyo, Tenchi Muyo! OVA Series, and Tenchi Muyo! movies. Many of the these releases will also get Blu-ray / DVD combo treatments. The Serial Experiments Lain combo release will be remastered in native HD and include a 320 page artbook + 24 page restoration booklet. The Tenchi OVA and theatircal releases are also known to be from the HD transfers previously used on the Japanese Blu-ray editions. A couple of highly anticpated movie releases are scheduled for later this fall from Sentai Filmworks. These releases include: Makoto Shinkai’s Children Who Chase Lost Voices (DVD and Blu-ray) and Isao Takahata's Grave of the Fireflies on Blu-ray for the first time. Other notable releases (DVD, Blu-ray) include Ninja Scroll: The Motion Picture and the first collection of Penguin Drum. In other news, VIZ Media's 24/7 PS3 streaming anime station named "Neon Alley" will launch on Tuesday, October 2nd. The channel is entirely devoted to dubbed anime. The selection of shows available on the new streaming channel is limited at this time, but new episodes of dubbed One Piece will be one highlighted show available through VIZ's partnership with Funimation. For the readers looking for the Anime Bargains section, please check out the monthly Official- ANIME Bargains! - Thread at the DVDTalk.com forums. Despite our love for physically-pressed anime media, we wanted to spend a moment to talk Crunchyroll. It’s arguably the best streaming anime service available and with the new and exciting availability of premium membership subscription service for playback on any PS3 system in North America it’s even more downright cool than ever before. We’ve decided to compile a run-down of the service’s pros and cons for users looking to use service with the PS3 playback mode. Episodes are added regularly: Weekly for most series. Newly airing in Japan shows become available less than 24 hours later in subtitled form. Availability of content. 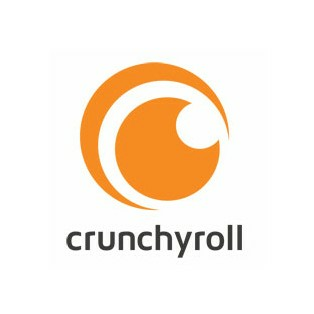 Crunchyroll many not have all of the series you would ever want. However, it does have an increasingly huge selection of shows and will please even the most intensely dedicated anime fans. This service includes anime favorites like Naruto, Bleach, Gundam (various incarnations), and classic series like Galaxy Express 999 to Sherlock Hound (a series that involved Hayao Miyazaki and which is currently OOP within the US). Price. At only $6.95 a month, it’s not a bad deal. You get a lot of anime to watch for little moolah. We think it’s a good deal for a streaming service. There are also no ads littering the service for premium members. (Free subscribers can watch online, but it becomes somewhat limited as a service and it cannot be accessed through the PS3 if subscribed to the premium service option). Streaming quality isn’t in High Definition yet. This could be a deal-breaker for some. Certainly, it’s something which makes us consider the value of the service to become dampened somewhat. Once the high definition viewing options become implemented with Crunchyroll’s PS3 service it should be able to earn a few extra brownie points in regards to streaming quality. High Def playback is supposed to roll-out later this year. Things have been a bit buggy so far and we don’t know when the system will work 100% of the time on all models of the PS3 system. Certain PS3 owners have had more playback issues than other subscribers. Recently, an update what applied to the software that fixed many of the issues. However, I still experienced some occasionally “off” motions on the video quality playback. Keep in mind that this has already been tinkered with, improved, and that the service quality is decent but still in need of some added support and updates. It needs an easier navigation system. Browsing through the catalog of shows with the currently setup of left to right or right to left browsing is a bit tedious without it being organized as efficiently (or in as many categorizations) as it could be. It’s simple and sleek looking but it could use some added options and tweaks. As something to supplement your DVD and Blu-ray collection, Crunchyroll offers viewers an amazing way to sample series and even watch them from beginning to end with the massive & growing catalog. The best thing about the service is that it features series that are brand new to Japanese airwaves and that it bridges the release gap in North American audiences getting fast access to these series. It’s almost as if you really are watching the series exactly as they air in Japan. 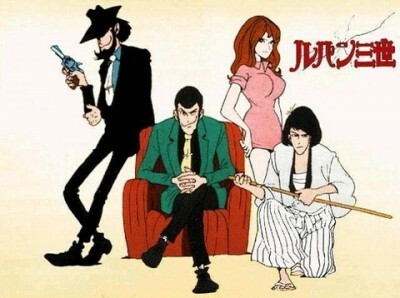 Lupin is one of the greatest anime characters of all time. The early episodes directed by Hayao Miyazaki and Isao Takahata are fantastic to behold. 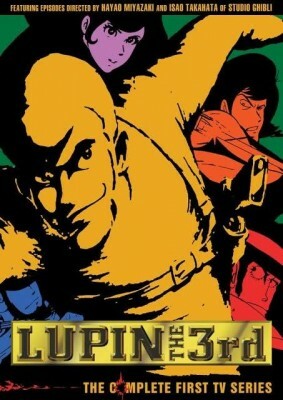 If you consider yourself an anime fan this special DVD collection of the first two seasons (the original Lupin episodes) is a must watch. Fans of The Castle of Cagliostro will love this collection. Consider it a worthwhile purchase. This is an excellent show and one of the top anime series that I've seen in years. Though only 11-episodes in length, the program puts enough character development and plot in for a show 4 times as long. 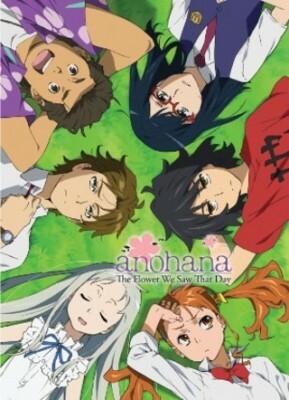 Sweet, touching, and more than a little tear-jerking, anohana: The Flower We Saw That Day comes very highly recommendation. 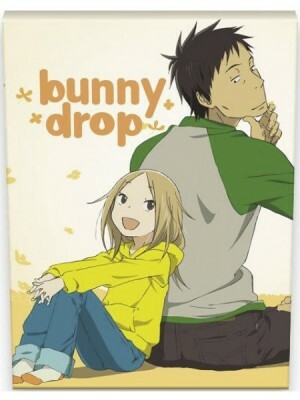 Bunny Drop is one of the most unique anime series I have had the opportunity to see. It reminded me of something that might be found broadcast on PBS, besides the fact that it is definitely an "anime series"; a genre that PBS doesn't produce. This would be an excellent series to watch with family members of any age. The story is compellingly told and here is a series which is capable of being something different from your typical anime TV series. It is a show for the entire family and that certainly makes it an interesting experience. Bunny Drop is a quality television program worth seeking out and purchasing because of NIS America's excellent release. <>I know some might not feel inclined to give the show a reasonable chance because of the lack of an English dub and because of the fact that this is a romantic anime. Guys especially might worry that it's a show only for girls. I find that idea silly. <> This is one of the best anime series I have seen over the past several years. This isn't a series that is going to appeal to everyone, of course, but if you are even remotely a fan of anime you owe it to yourself to check out this show and soon. I think that a wide range of people would love this series. It is one of the best in it's genre. The story is heartwarming, the animation stellar, and the presentation is first rate. It's entirely worthwhile and a necessary purchase for fans of the show. Panda! Go, Panda! is a cute early effort from Hayao Miyazaki and Isao Takahata. 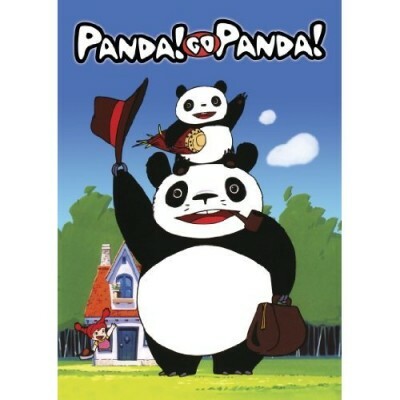 The two short cartoons about a young girl and her panda family are made for younger viewers, but are fun enough that most adults will like them, too--especially the Ghibli fans. Though not as good as My Neighbor Totoro, you can definitely see how these sweet little films eventually led the filmmakers to make that classic animated feature. K-ON! is an awesome, rock-tastic series. If you enjoy rock music, friendship, and good humor it will be a series that appeals to you and your brand of enjoyable coolness. While K-ON! is aimed more at girls than boys it is a series that should appeal to both genders and a wide variety of ages too. Tales of friendship are timeless, and K-ON! is one of the more exciting ones to come out the past few years. 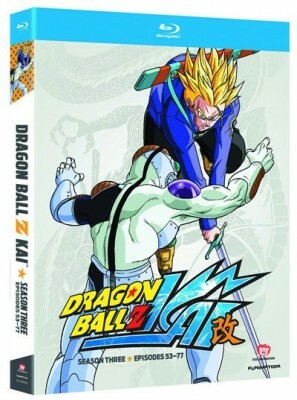 This set contains the first thirteen episodes of season two (which is half of the season) and it also offers a better value than the Bandai released single-volume releases made available on Blu-ray for the show's first season. Given the significantly lower cost and the high quality of the series, viewers should enjoy adding this excellent anime release to their collections. It is well worth purchasing. I've been a fan of Dragon Ball Z for well over a decade, and I've seen all 291 episodes multiple times in both English and Japanese. This unfortunately gave me a negative bias towards Dragon Ball Z Kai, but now that I really can't justify sitting down to watch that much television over a reasonable amount of time, the option of Kai was looking pretty good. I'm man enough to admit when I was wrong, and, well, I was wrong. The new script, editing and splicing really served the second season better than I ever could have imagined. Surprisingly, none of the main story or character arcs seemed to suffer in the least. There were hardly any instances where the editing failed to be seamless, and the newly recorded dialogue is the best yet. 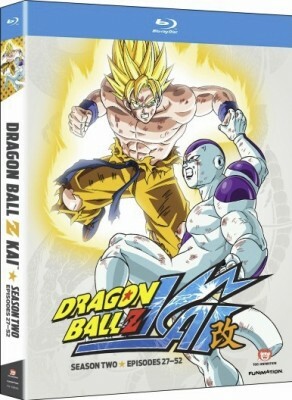 I would advise those uninitiated with the series to try to get their hands on all 291 episodes so they don't rob themselves of what's probably the more rewarding experience, but if you just can't justify setting aside that much time or money, Dragon Ball Z Kai is perfect for vets and newcomers alike. What do you think about the column? Like what you see? Don't like it? Have a comment or suggestion? Drop us an e-mail and let us know!